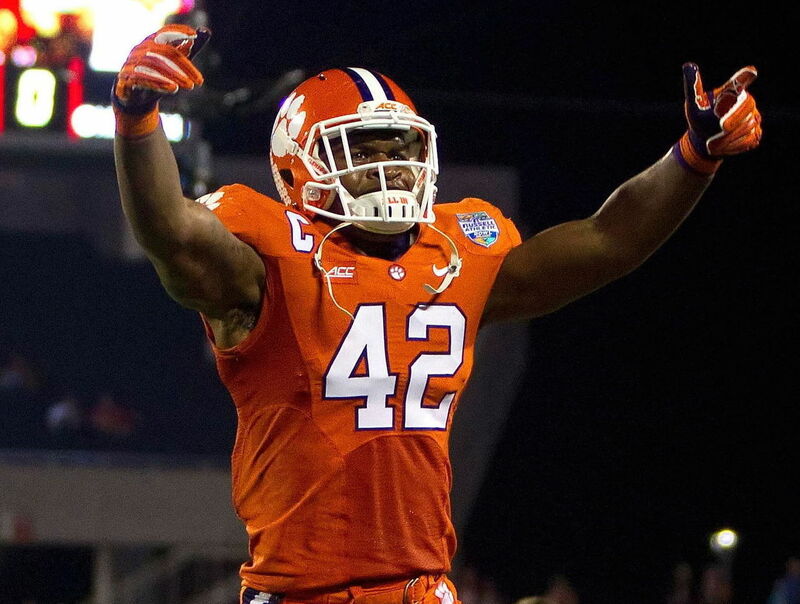 Top 10 IDP Rookies to look forward to in 2015. With the draft now in the books, I wanted to publish my top 10 IDP players. Some of you are in Dynasty Leagues and have rookie drafts coming up. I hope the list helps you and please remember this is very preliminary and I will update the list as training camps start. I like this kid and I like where he landed, he was drafted to come in and replace Curtis Lofton. If there is 1 knock against him it’s his defense vs. the run. But he will be making the tackles needed for IDP leagues. I’ve seen quite a few clips on him and he reminds me a bit of Bobby Wagner (SEA). He is big at 6’3” and I think it will help him with the bigger plays. I think 1st and 2nd are very close for IDP leagues, some might even prefer Kendricks to get those tackles vs. the run. He is a machine vs. the run and will get you the tackles. I have him at 2 because, at this stage I am not sure where he will start. Will he be the MLB? Or will they have him play at WLB? Remember the Vikings have Chad Greenway and I’m just not sure that he will move to WLB. So I will hold off on ranking him 1st until training camp. I like that the Houston Texans traded up to get Bernardrick that surely means they will start him. Offenses that play the Texans have JJ Watt to worry about as well as a healthy Jadeveon Clowney. He will start opposite Brian Cushing and I expect him to excel and lead the Texans in tackles. I think Landon Collins will come in a get the job done, he has very little competition at safety in NY, Rolle, Brown and Demps are all gone. I think you can count on him being an every-down player and if you are in a Dynasty league he is one to watch. Okay, with Vic Beasley you need to check what type of league you are playing and what will his position designation be. If he is a DE and has that designation he will be very useful to you, if however they give him the LB designation I like him much less. There is no questioning he will give you big plays and as a DE that is what you’re looking for, however as a LB he won’t give you the tackles you rely on. Before the draft he was in my top 3 rookies to watch out for but he landed on a team that already has Luke Kuechly and Thomas Davis. I still like him but I am not sure he will be an every down linebacker. Right now if I had to choose the number 2 linebacker behind Luke it would be Thomas Davis and not Shaq. Denzel Perryman (SD) LB Another guy who got drafted by a team that will significantly cost him in terms of stats and IDP relevance. He has to compete with Donald Butler and Manti Te’o and that will mean he won’t be a 3 down back till he earns the position. He is undersized but he definitely can tackle and make an impact I just don’t love his landing spot for year 1 for IDP. If you are in a dynasty league you need to draft Paul Dawson, he will be good but will play on a limited basis in the first year. Beware that he has some problem too off the field issues. The Bengals said they view him as Vontaze Burfict but I don’t buy that. This kid is going to get you some sacks and will be DL2 worthy immediately, I am not sold on the position he is going to play just yet, as Jacksonville likes to rotate their pass rushing. After week 2 if he becomes an every down DL go ahead and slot him in as a DL1. Don’t fall into to the trap of drafting him too high his ADP will be through the roof! Don’t buy that. If I had one bold prediction to give you guys this early on it would be that this kid is going to shoot up my top 10 by the time the season starts! The reason I have at 10 right now is simply “Clay Mathews”. Clay Mathews will start off the season as the MLB but could easily go back to OLB duties and Jake Ryan put on MLB duties. Let us see what happens in the training camp and first few weeks. Remember if you have any questions drop me a comment either here or in our forums.